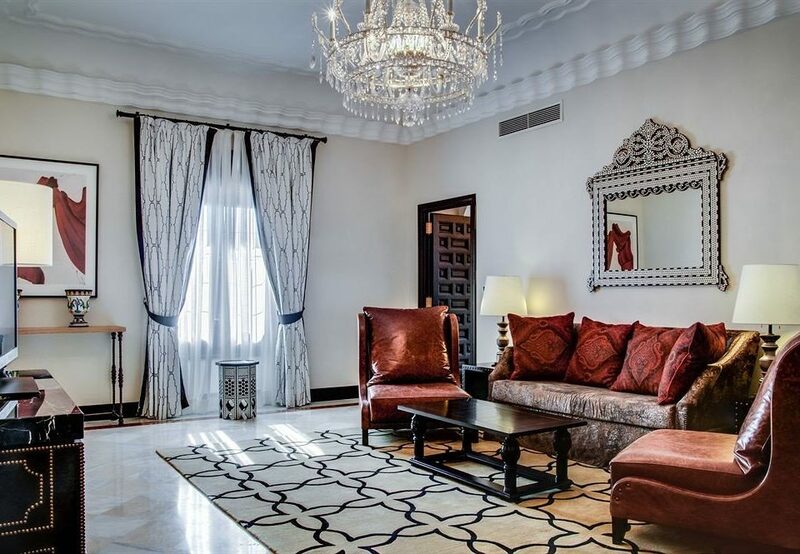 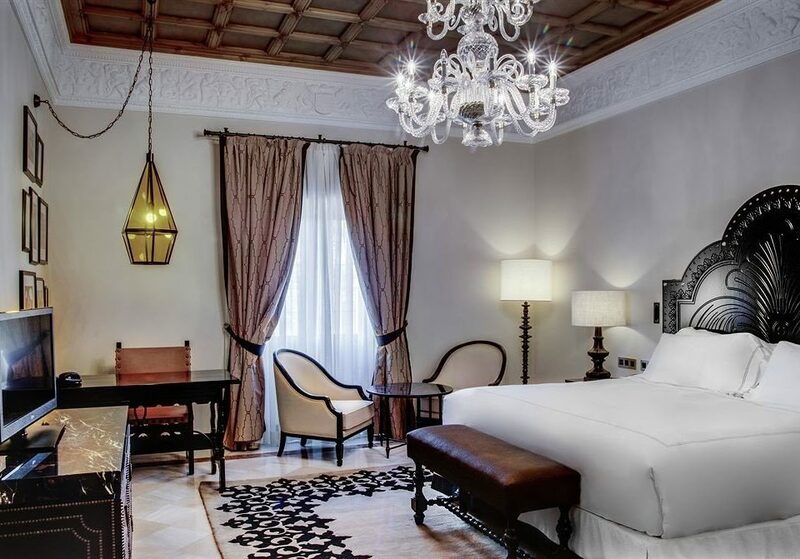 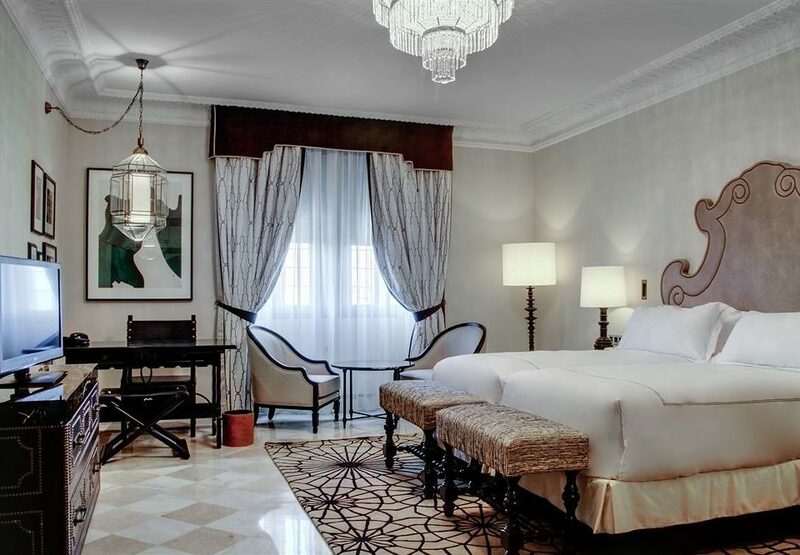 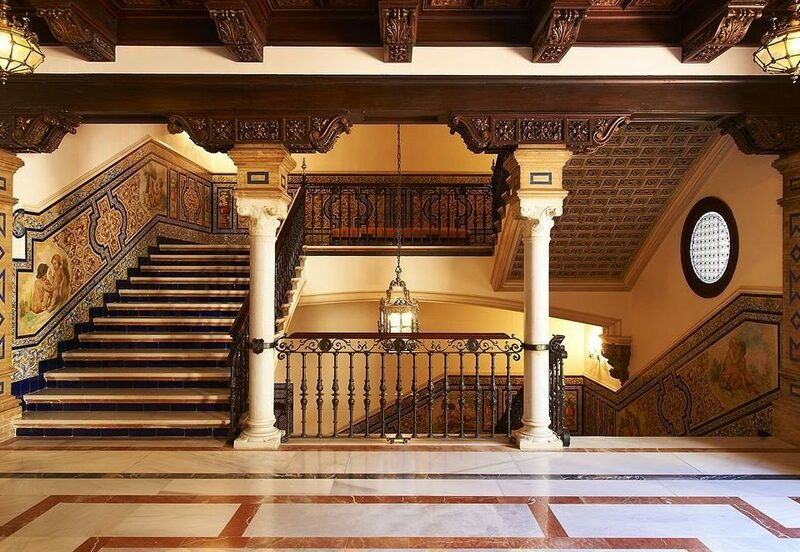 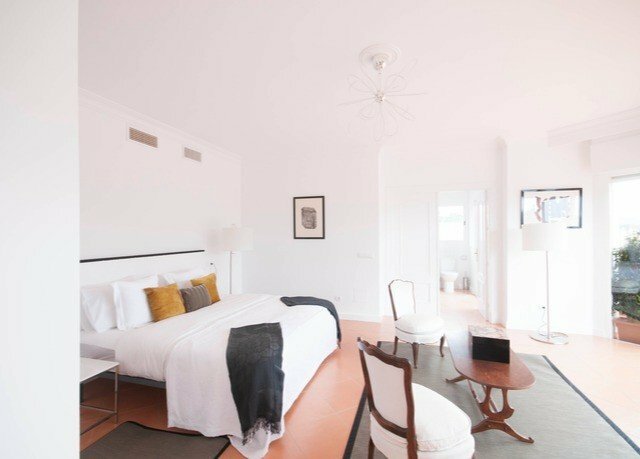 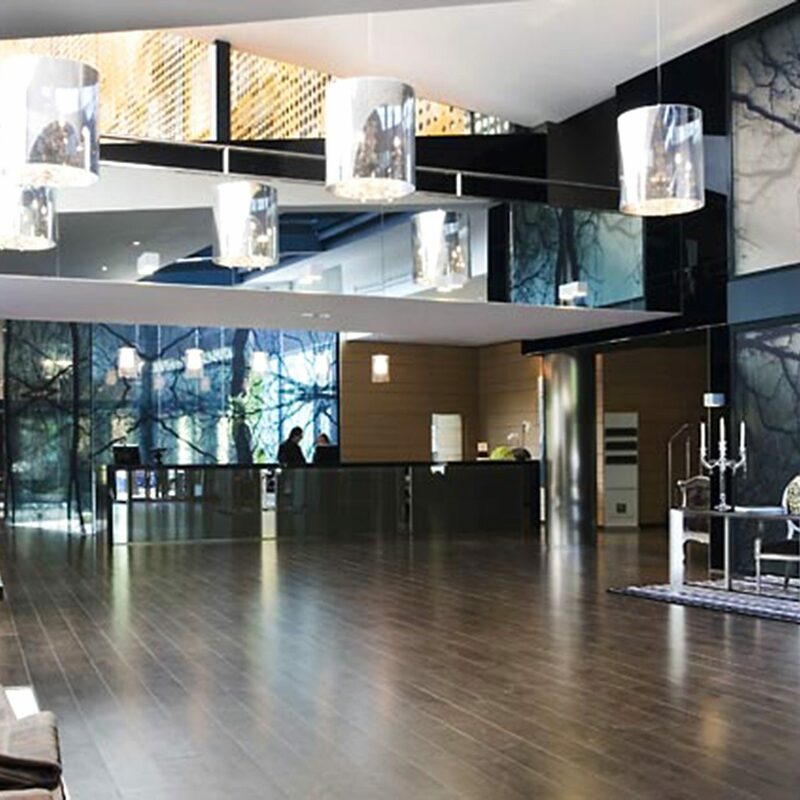 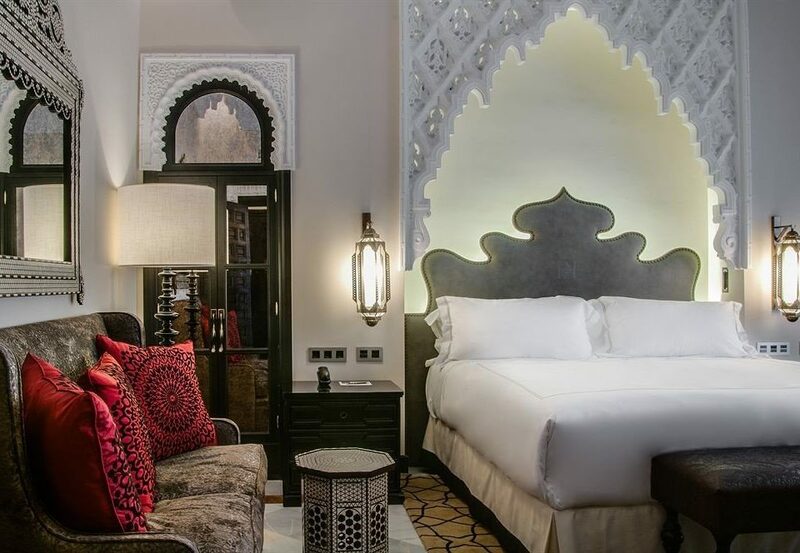 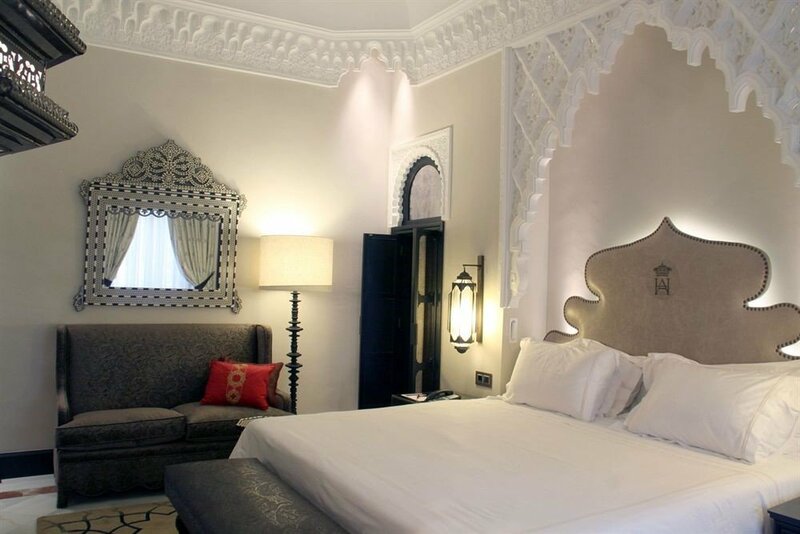 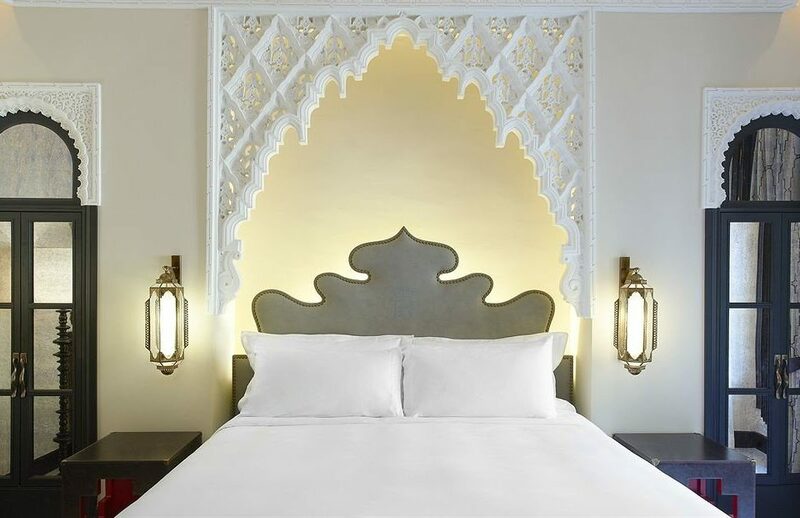 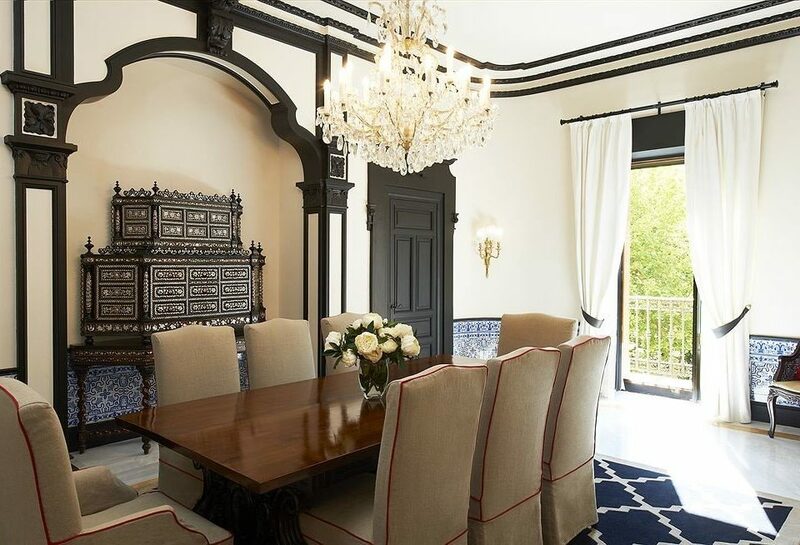 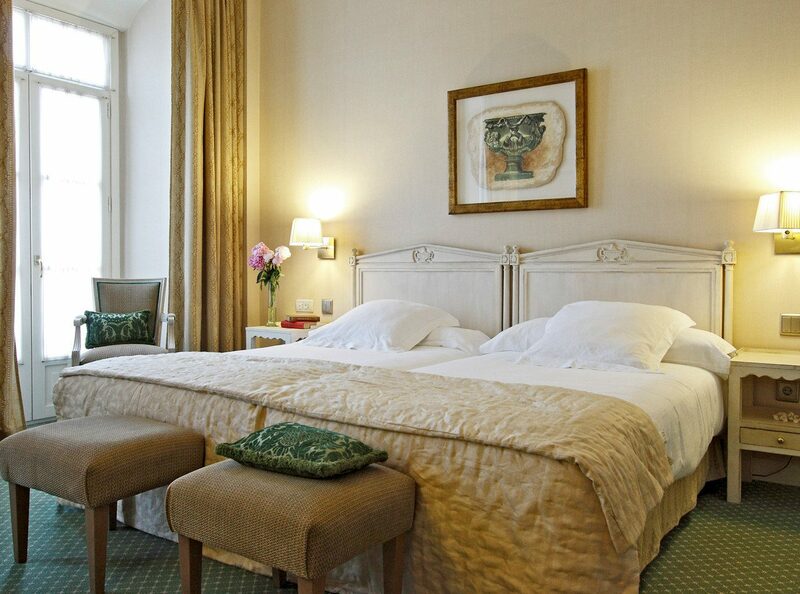 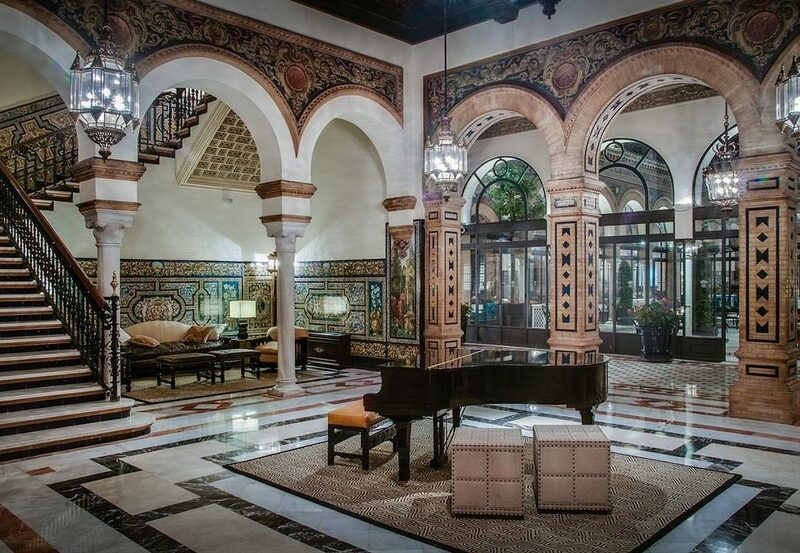 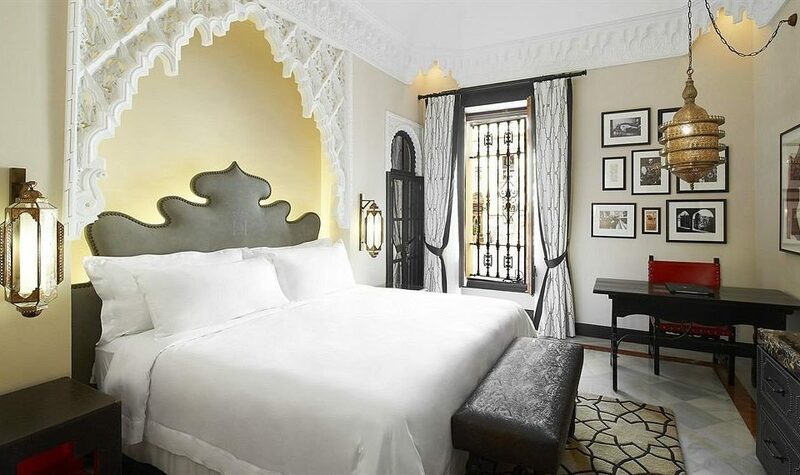 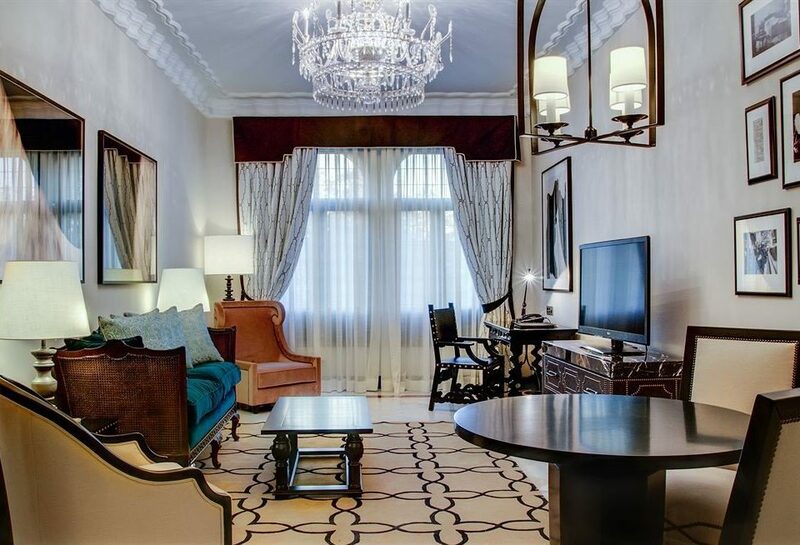 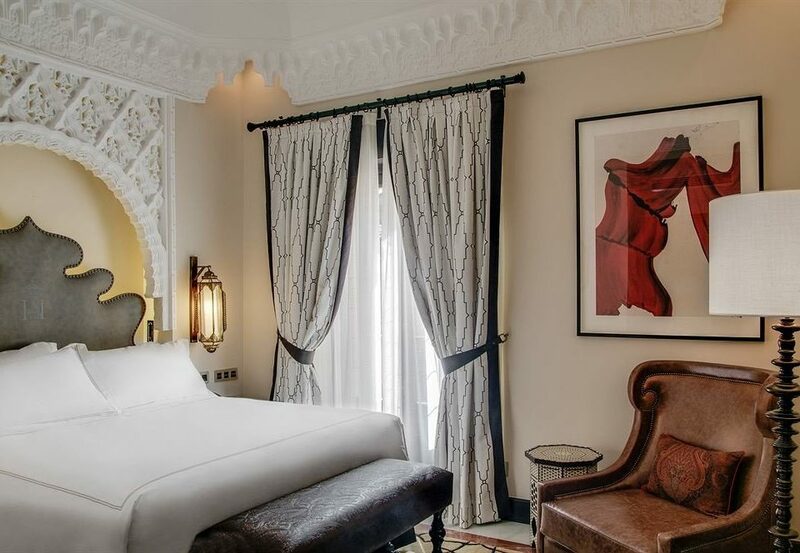 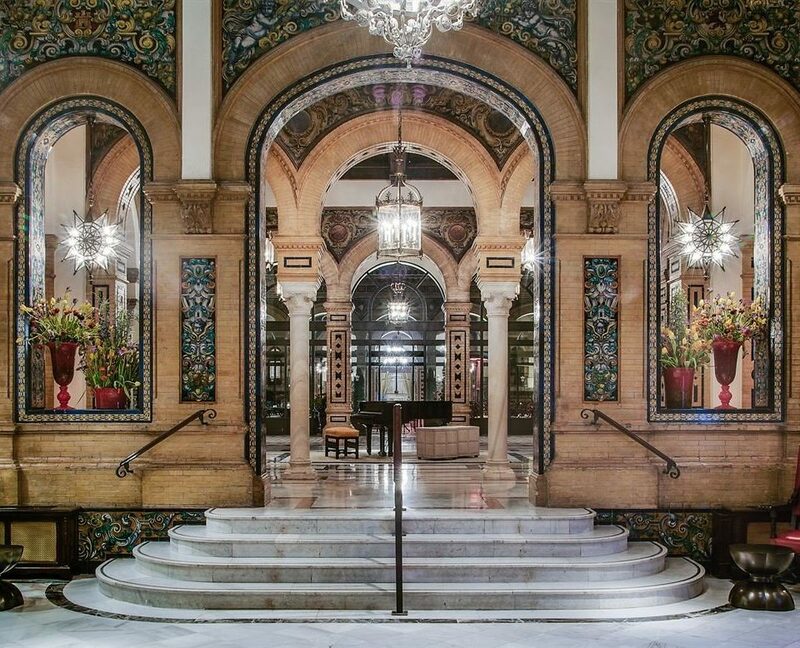 Built by King Alfonso for guests of the 1929 Expo, this eponymous hotel underwent a year-long refurbishment in 2012 that brought in a contemporary neutral palette and soft furnishings for the rooms—though the decorative archways and minaret-shaped headboards remain. 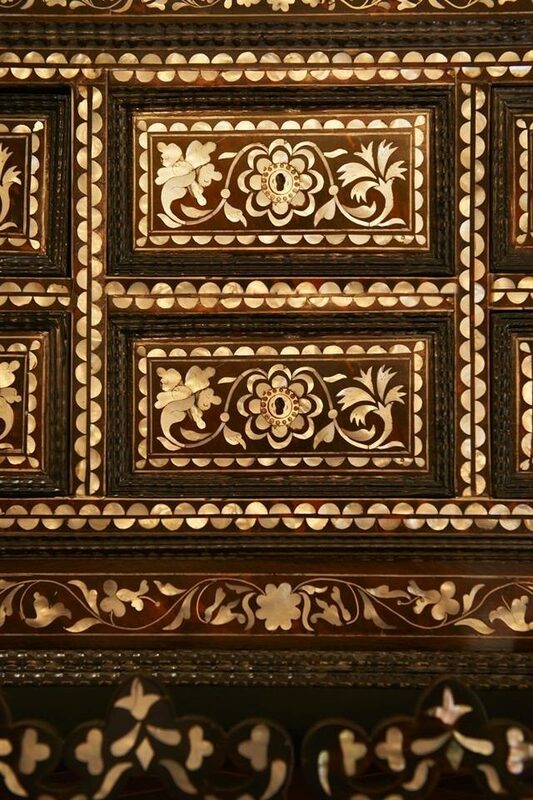 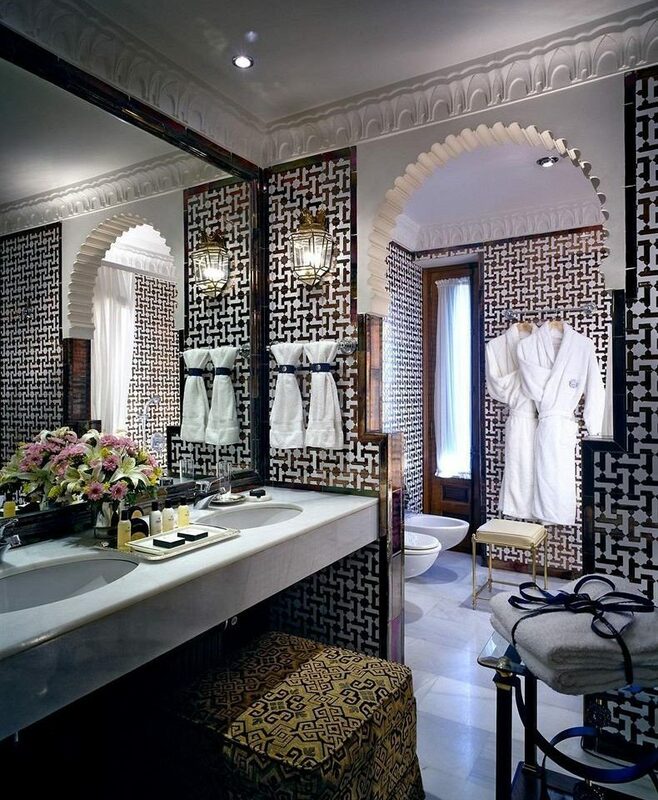 The bathrooms are tiled floor-to-ceiling in fabulous arabesque patterns and the bidets have cute “his” and ‘hers” towels. 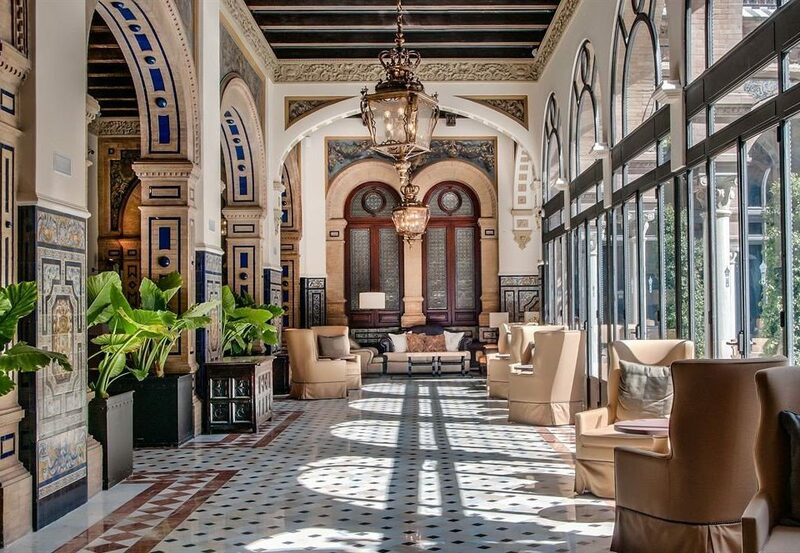 The public areas, including the decadent marbled lobby, are centered around a patio beautiful enough to tempt guests away from sightseeing, thanks to its own marble fountain and swimming pool. 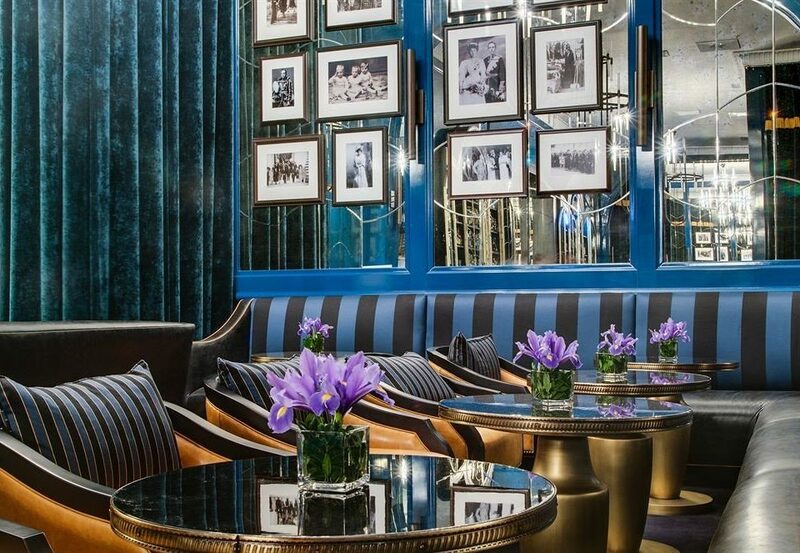 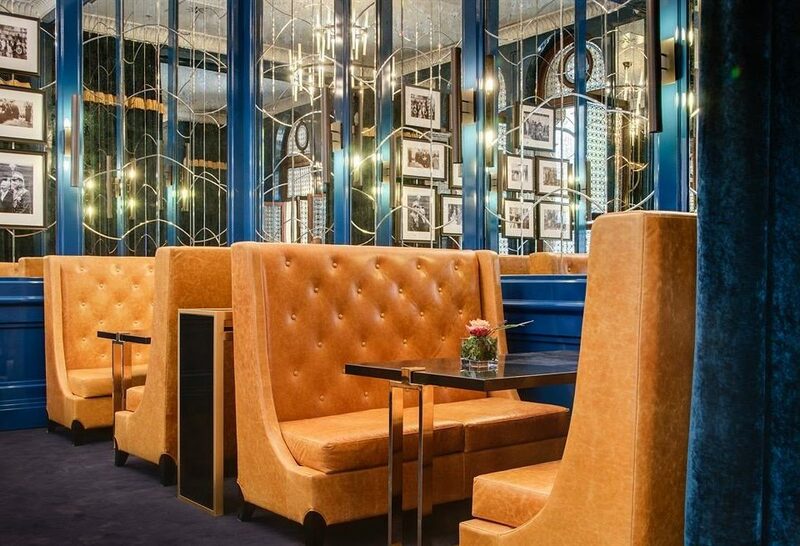 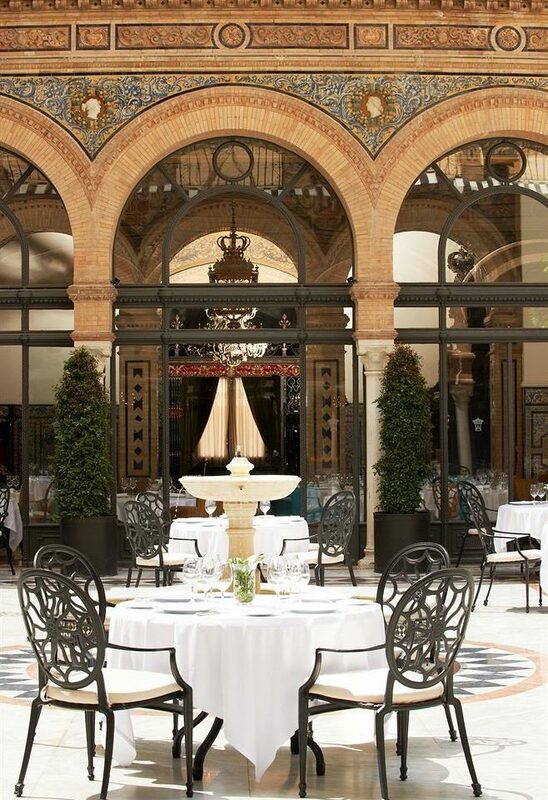 Another hotel highlight: Ena, a restaurant from Michelin-starred chef Carles Abellán, whose open-air terrace is the ideal place for enjoying creative cocktails made with sherry syrup, Angostura bitters, or St. Germain. 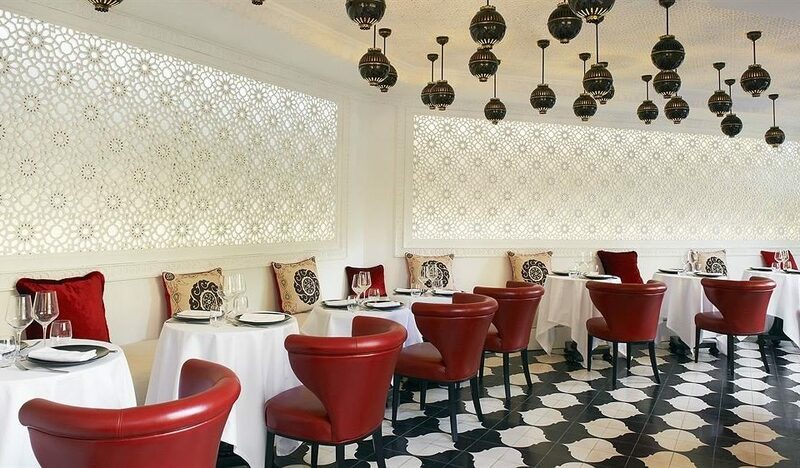 Abellán’s much-lauded tapas, like the salt cod fritters with honey and lemon, have an Andalusian twist. 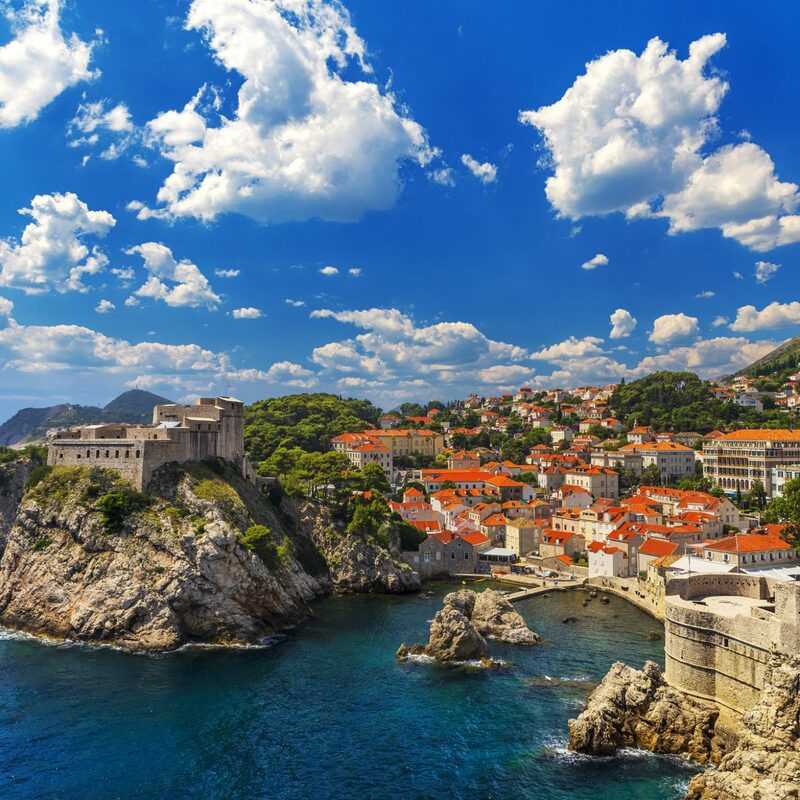 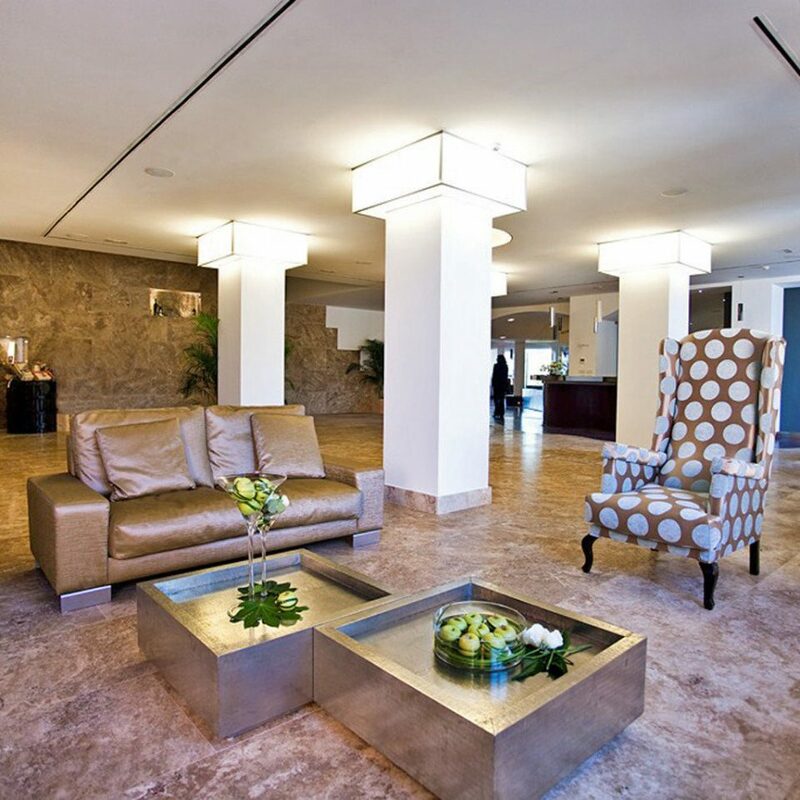 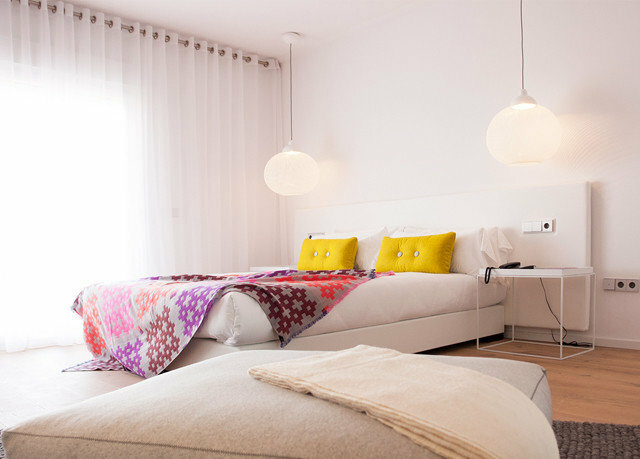 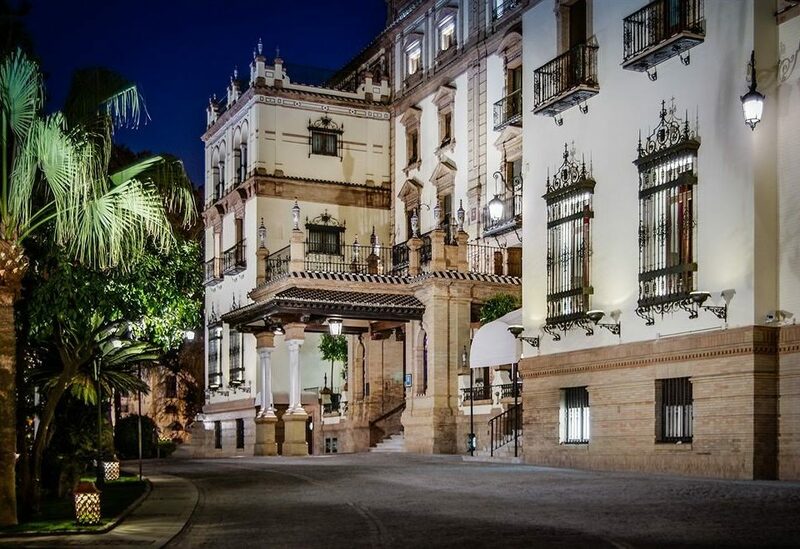 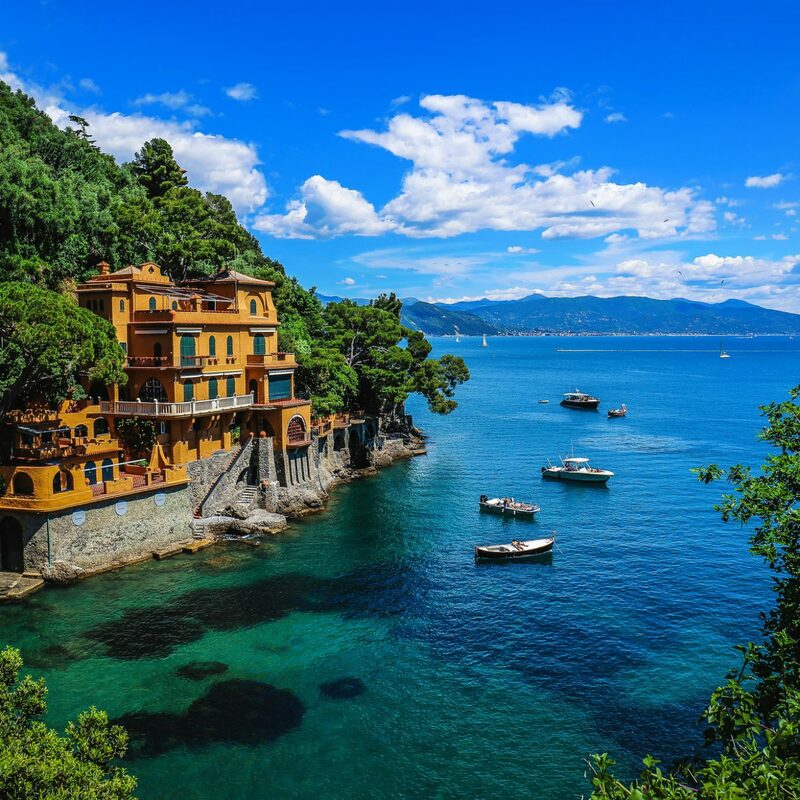 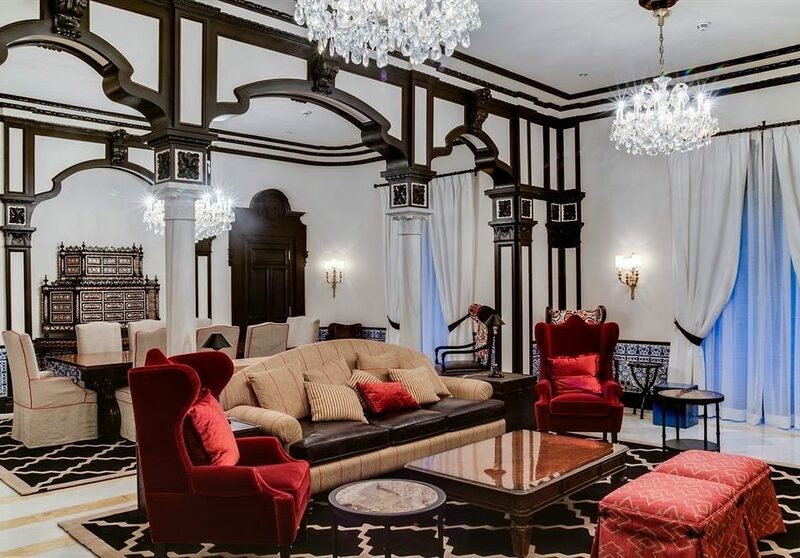 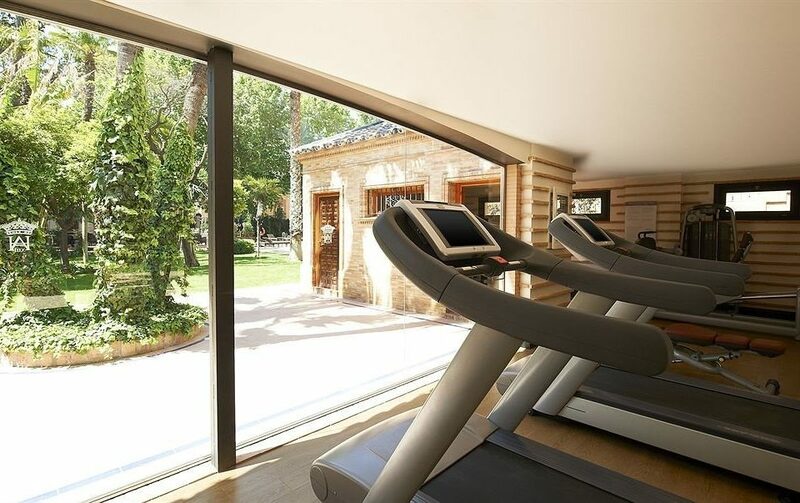 No need to rent a car here: the Alfonso XIII, located in the narrow, cobblestone streets of the Santa Cruz area, is within walking distance of pretty much anywhere in the city you want to go. 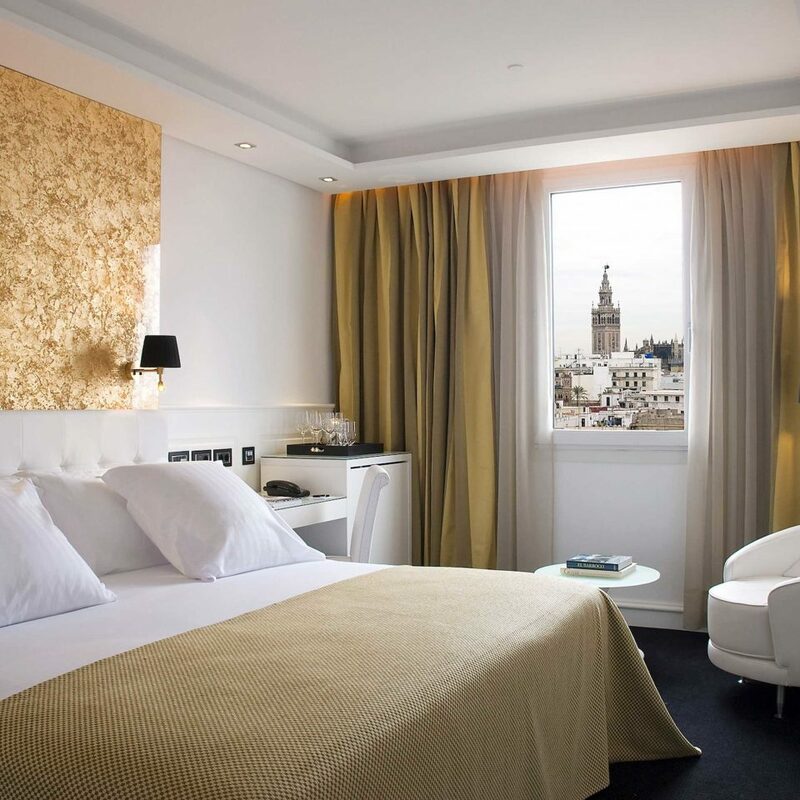 It’s just five minutes to Seville’s gothic cathedral and the sumptuous Real Alcázar, a Moorish palace complex – both UNESCO World Heritage sites. 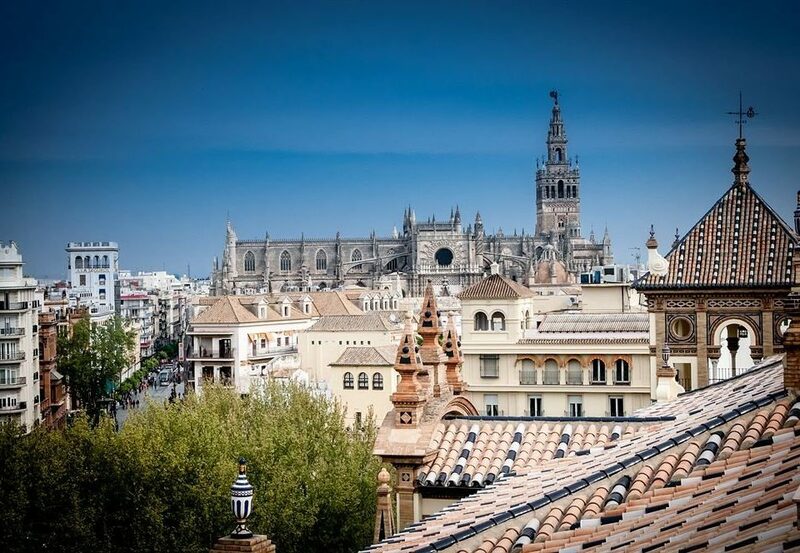 The shopping district centered around Calle Sierpes, home to a mix of designer, traditional and eclectic stores, is also just half a mile away.